8mm Forum: Happy birthday two british greats! » 8mm Forum » General Yak » Happy birthday two british greats! Author Topic: Happy birthday two british greats! I'm a great lover of British variety stars of old and today is Richard Hearne OBE also Frank Randle's birthday. Usually a good reason to set up the projector and project a couple of features so will be doing just that today. Like to keep the flowers on throughout the year as well for the boys. I have very fond memories of watching Richard Hearne as Mr Pastry on BBC TV when i was still a child. I've got 16mm prints of each great actor. 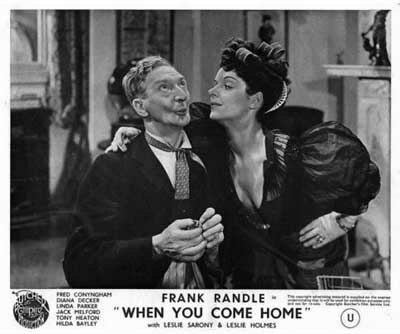 "Home Sweet Home" (1945) with Frank Randle. "Tons Of Trouble" (1956) with Richard Hearne. I still remember seeing Richard Hearne on stage with Fred Emney in 1950 at His Majesty's Theatre, London, in "Blue For A Boy". Richard Hearne was quite an acrobat, he was constantly going head-over-heels through window frames and such-like. Nice Maurice. 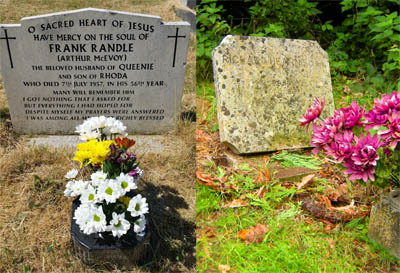 I'll never forget the day Richards family telephoned me to say thank you for putting flowers on the grave down in Kent, really touching. 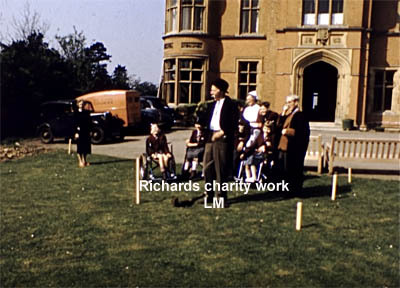 Richard of course did so much for disabled children even raising enough for no less than 11 hydro pools quite a man. This frame is from my colour film collection of him doing the first dig to build another. Amazing footage. Good old Frank here's one of my lobby card set. Its a film I always get mixed up with the other one. He was in the first Pantomime I saw as a child (as Mr Pastry), at the Brixton Granada which was built as the Empress Theatre.